This full day seminar is offered together with our partners, the World Trade Center of Greater Philadelphia and the Lehigh University Small Business Development Center. Proper export documentation is key for quicker customs clearance and while your product is in transit to its destination. This program will help you understand how to correctly complete international shipping documents. Learn what documents you should be filling out and how to do so accurately to keep your customers, distributors and company ahead of schedule and save time. Bob Imbriani, Executive Vice President, International for Team Worldwide, has been in the international/domestic transportation and logistics field for over four decades. Mr. Imbriani is a well-known speaker and educator in the areas of trade compliance, contract negations, transportation, logistic/supply chain solutions, customs brokerage, trade development and financial services. He is also an adjunct professor at Baruch College and Pace University in New York. 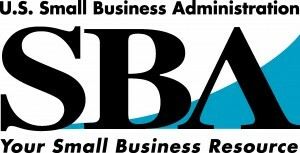 If you are a small or medium sized company, and have an exportable product or service, we can offer you a discounted rate of $65.00 for up to 2 participants through funding provided by the PA Department of Community and Economic Development and the US Small Business Administration, under the STEP program.